“செவ்வாய் தோஷம் இருந்தால் மாங்கல்யம் தடைபடுமாம்! !” யார் சொன்னது? நாங்க செவ்வாய்கே மாங்கல்(யம்)யான் கட்டிய பெருமை உடையவர்கள். I am really apologize to people who don’t understand tamil. I cannot translate the above to English because the meaning will be lost. Today India has launched a satellite into mars orbit to examine mars. India is the 3rd country who accomplished the mission with the least cost. It is really a proud moment for all Indians. This is a day that has been etched in history, children in the future are going to learn about this satellite in the years to come. There are so many negative comments about the money and time that Indian has spend on this mission. People are commenting that there are so many poor people who are in feed of food and water but we are wasting money. Everyone knows mars is a planet but what have we done about it? Don’t you think that you should learn more about Mars. Well as a matter of fact, you need to know about all the planets but this is just the first step. 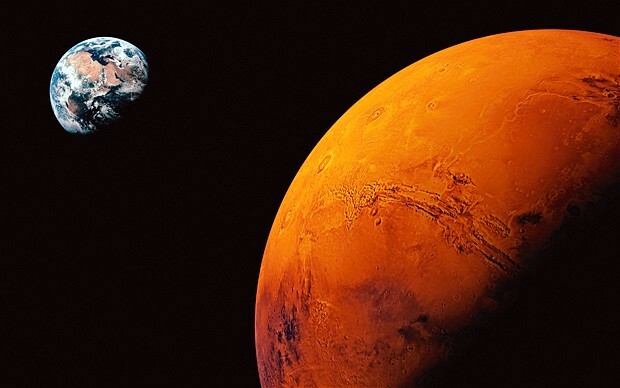 Let us learn about mars, find some interesting facts about the neighboring planet. Inspire children to take learn astronomy in the future. There were so many objections during the INSAT satellite launch. But that was the satellite that was helpful in identifying the cyclone that happened in the east coast in advance. India was well prepared and the effort was well appreciated by many world organization for handling the cyclone and the damages. I am sure one one this satellite is going to make sure surprising discoveries that will take the mankind to the next orbit. If you want India to just feed the poor with the money then India will keep doing that for ever and not make new advancements in the field and science and we will be left behind. Congrats again to ISRO for the successful Mangalyaan mission.